The Primitive Route runs from Oviedo to Lugo, and joins the Camino Francés in Melide. 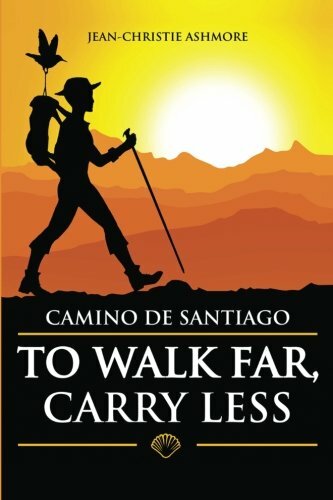 A new name for the app (formerly Camino Primitivo - A Wise Pilgrim Guide). He also offers a Kindle Edition and a 2019 print edition. I mention these because some people appreciate the focused layout of a digital or print guidebook to compliment the interactive experience of an app. Please note: The app features the Camino Francés. You can buy other routes inside the app, including the Primitive Route (Camino Primitivo). Also available as a Kindle book here. NOTE: please know that the book was updated in 2017 (as you'll see on the copyright page)—even though the book description, as of this writing, still shows the December 2014 release date. Thousands of readers have used this to customize their Camino backpack to be light-in-weight. Your back, hips, knees, and feet will thank you for carrying less.